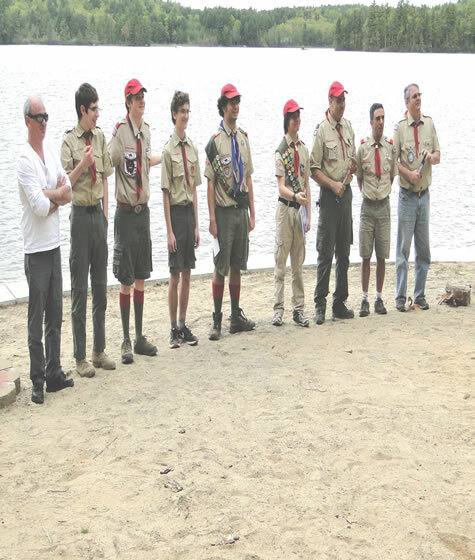 J.J. McCosh's Eagle Court of Honor Celebration ceremony was held outdoors on the shores of Onway Lake in Raymond in sunshine and warmth on May 21. 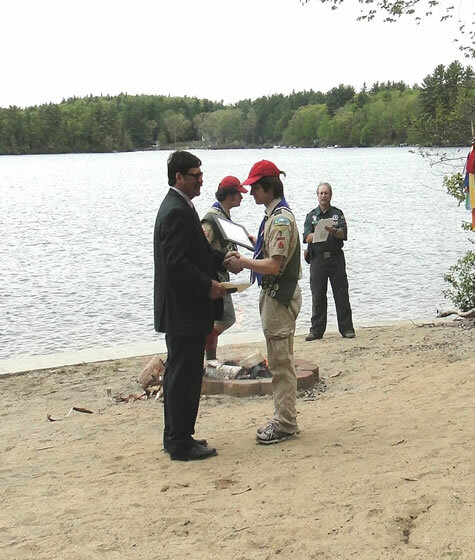 Master of Ceremonies Barry Hantman conducted a crowd-friendly ceremony for McCosh, 18, a senior at Raymond High School and the Seacoast School of Technology. 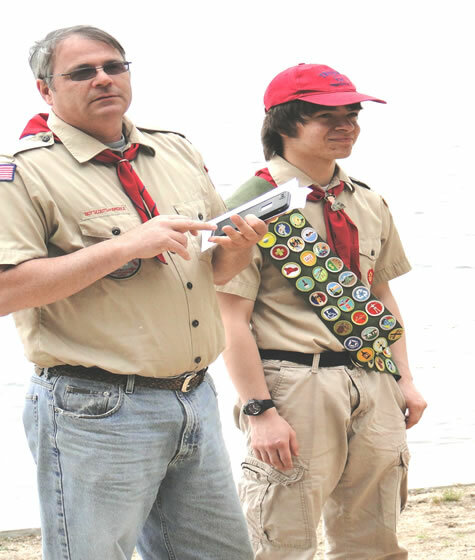 His father, Jonathan McCosh, is J.J.’s Scoutmaster. 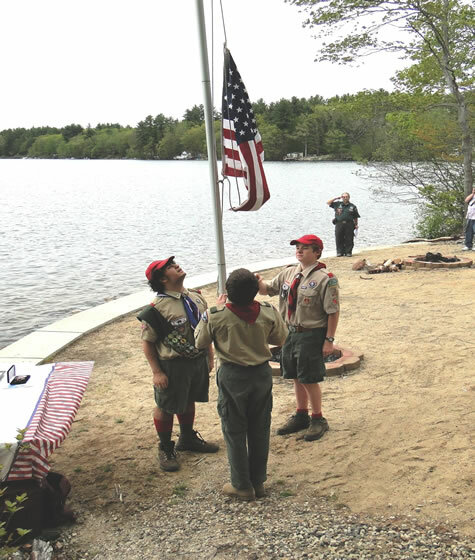 The ceremony opened with a flag raising by members of McCosh's Troop 3, and a campfire was kept burning throughout the ceremony by the members of the troop. 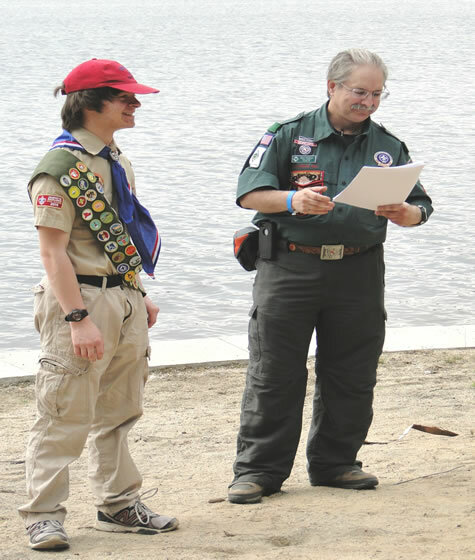 Hantman noted that the Eagle designation is the highest award a scout can achieve but only 4 percent of scouts get that far. Hantman presented J.J. with a prime rib and a lobster, saying that throughout their scouting interactions, when asked what he wanted to do, J.J. would answer, “cook,” and would tell Hantman that if he got the food, he would cook it. 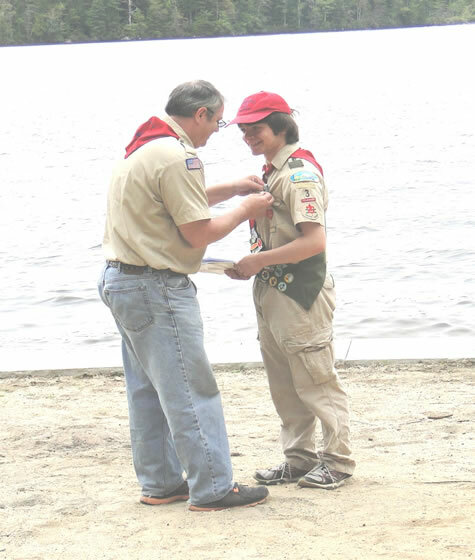 On a more serious note, Hantman said J.J. exemplifies the best traits of scouting - citizenship, character development and physical fitness – and noted he had reached high levels in his leadership skills, service to others and outdoor skills and as he progressed through the scouting ranks, he had held all the required positions within the troop and earned more badges than required for the Eagle designation. Doug Dickerson gave a brief overview of J.J.'s scouting history and Matthew Roy gave the Eagle Charge. 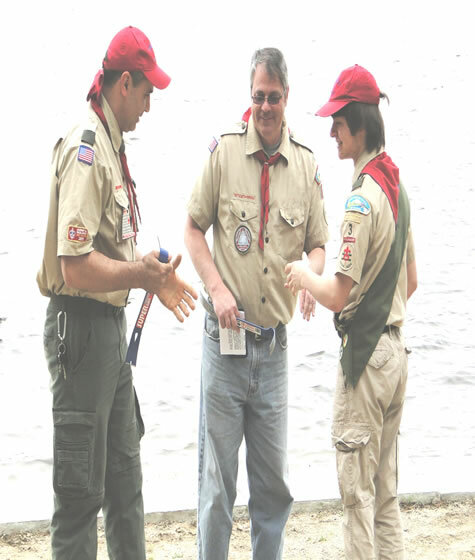 In his personal comment to J.J., Roy said that as an Eagle Scout he will always be looked at as different and people will have different expectations of him, always expecting more. 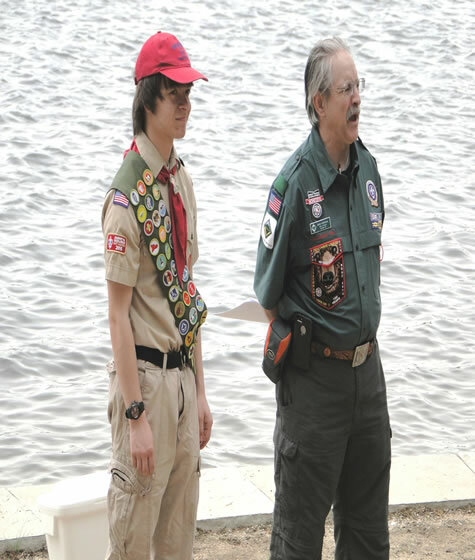 He told J.J. that being an Eagle Scout was something that he would take with him for the rest of his life and that it would always provide him with an instant connection with other Eagle Scouts. 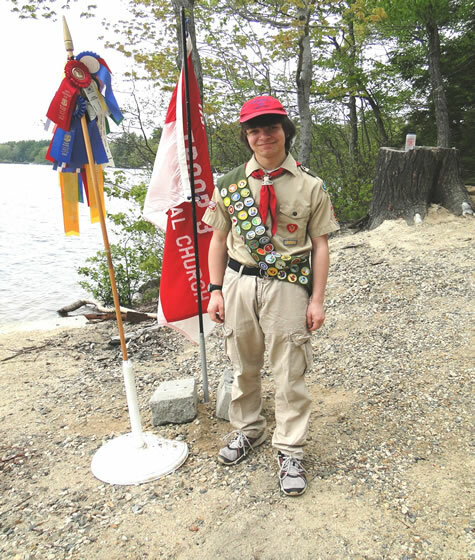 Eric Brown said J.J. went above and beyond in developing and executing his Eagle project, which was to upgrade, expand and add signs to the Zion Camp Challenge Course in Raymond. He added that J.J. learned how to organize the project, make presentations, give direction as needed and lead by example. J.J. said he added a zip line, tension bridge and tire run to the Challenge Course. He said it took lots of hours of hard work but he was assisted by three of his troop members, their families, his family and friends. The overall cost of the project was around $600; he said he received donations from local businesses and residents and added money he raised from popcorn sales. 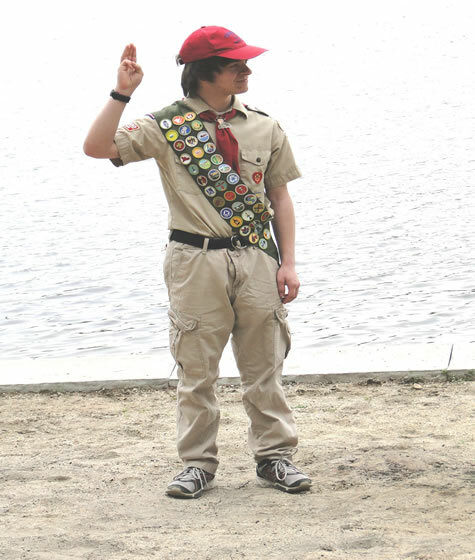 J.J. said he chose that particular community project for his Eagle Project because it was out of doors and it needed work, something he knew first hand because he camped there often. J.J. called all of those who were instrumental in helping him complete the project to join him in front of the crowd and thanked them, giving a pin and a crowbar to both Doug Dickinson and Eric Brown for their help with his project. 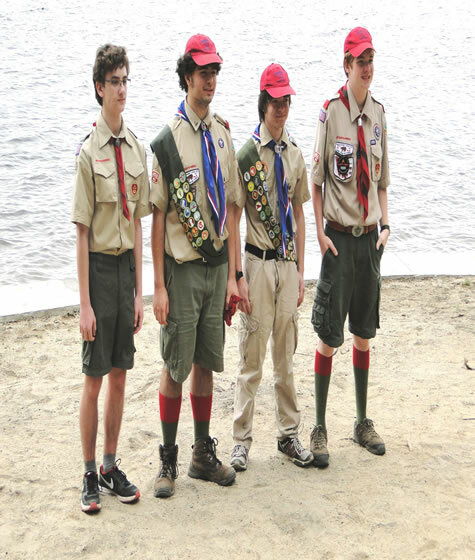 "It was a group effort, thank you, I couldn't have done it without you," he said. 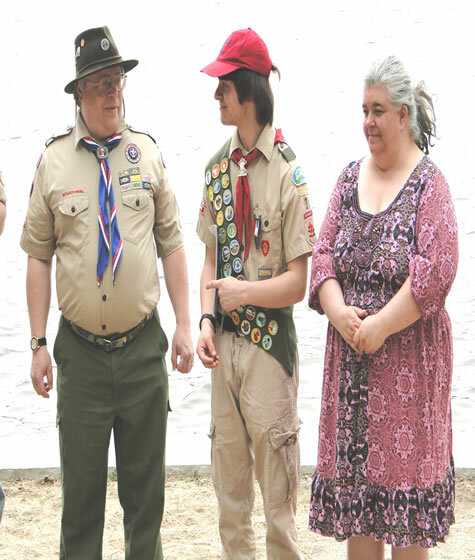 J.J. presented Eagle pins to his mother, Kristin McCosh, and his father, Jonathan McCosh, as part of the ceremony, acknowledging the important role they played in his scouting experience. 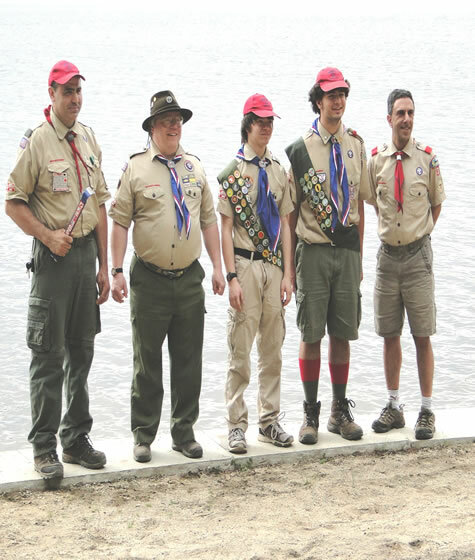 He was presented with his Eagle neckerchief by founding members of Troop 3. Raymond Selectman Chairman Greg Bemis presented him with a Certificate of Recognition from the selectmen and the town. 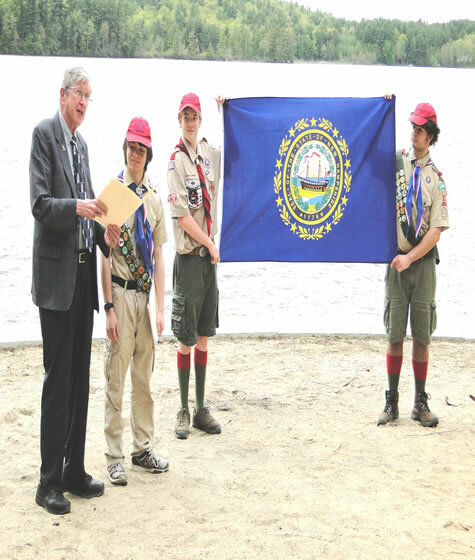 Selectman Jack Barnes presented him with letters and certificates of achievement from Secretary of State Bill Gardner; from Raymond State Representatives Kathleen Hoelzel, Carolyn Matthews and Mike Kappler; and from Governor Maggie Hassan; and a state flag flown over the Capitol Building in Concord from the New Hampshire Senate. His father presented him with letters and cards from Magic Artists, a group in which J.J. is interested. 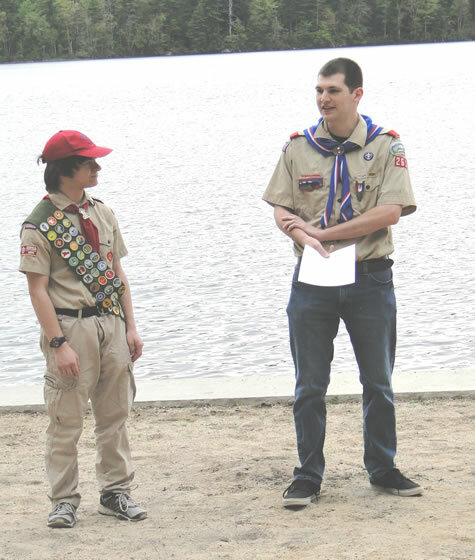 Hantman closed the ceremony by saying J.J. would carry the lessons learned through achieving Eagle Scout status throughout his life. 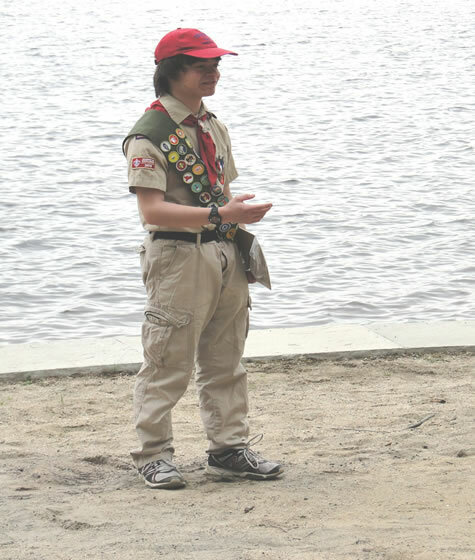 He said J.J. had chosen the more difficult path to become an Eagle Scout and he was proud to have been part of his journey. 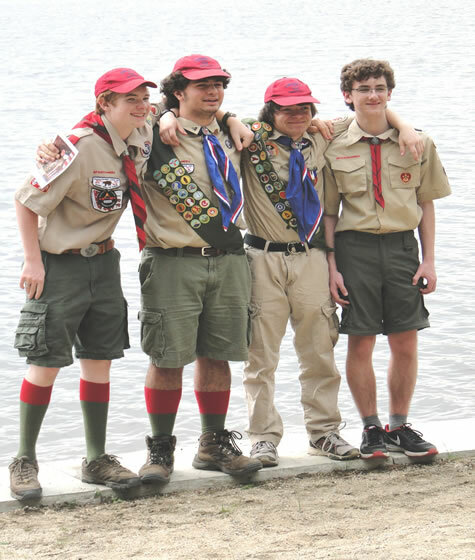 After the flags had been retired and the campfire extinguished, the attendees were invited to the camp lodge, where they were treated to a full meal by the McCosh family. 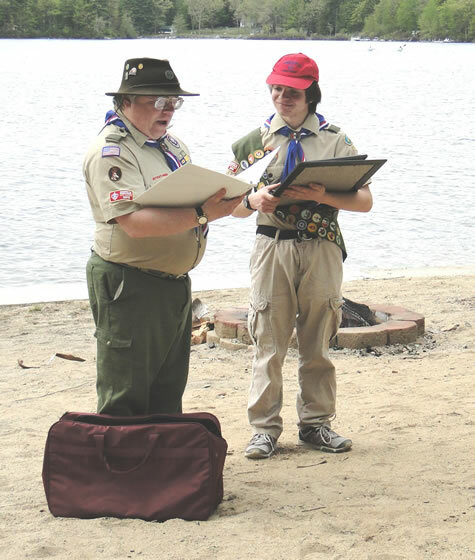 Around the room were displayed the letters and certificates of recognition J.J. had received, pictures of his project, and other awards from his scouting journey, while a slide show played in the background.